Check out our photo gallery to see memories of your last family camping vacation at beautiful Lake DuBay Shores Campground. Did you capture some great photos? Show us the big one you caught, the gorgeous sunset you experienced, or the shot of your kids making smores around the campfire. Share your shots with our photo gallery by to us. July 10, 2010, Gilbert Brown and Lynn Dicky visited Lake DuBay Shores Campground. Gilbert and his brother Kyle hosted a game of Deal or No Deal with the campers. 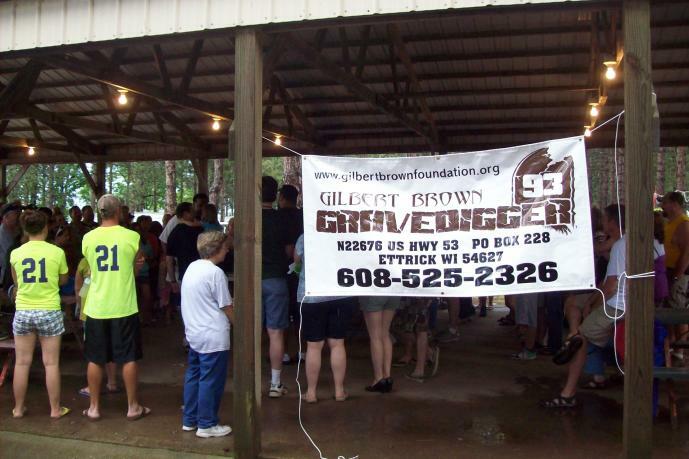 All proceeds went to the Gilbert Brown Foundation. Thanks to all our sponsors!